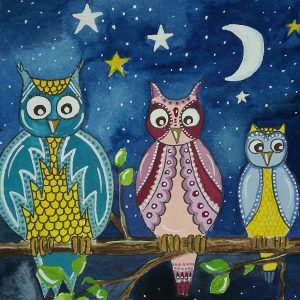 This painting can be made with one owl for each member of your family. 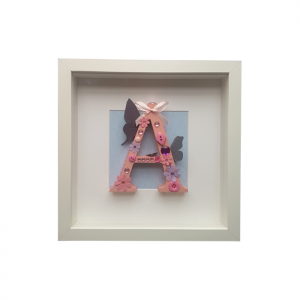 Initials, wood letters done in pink or blue and embellished and decorated and then framed in white square frame. 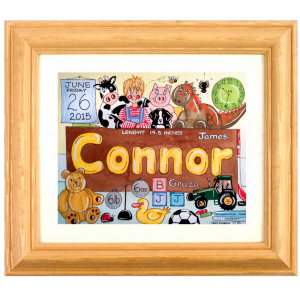 In a deep white square frame with mount. 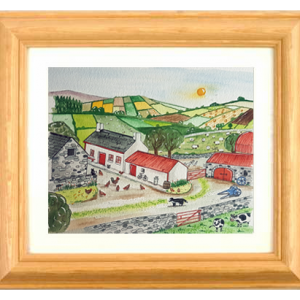 €25.00 including P&P in Ireland. 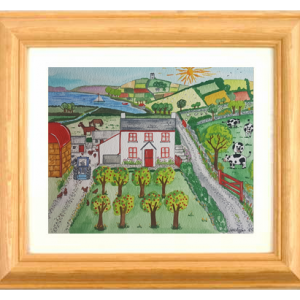 Illustration of an Irish Farm and farmyard, handpainted and framed in a natural pine frame with mount. 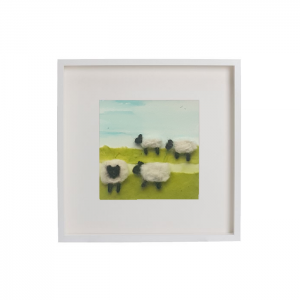 Felt sheep on mixed media. 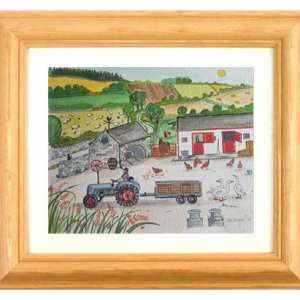 Ram, Eve and little lambs. 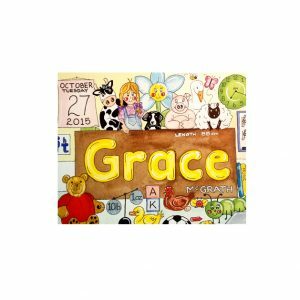 Can be made to the number of your family with or without family name! 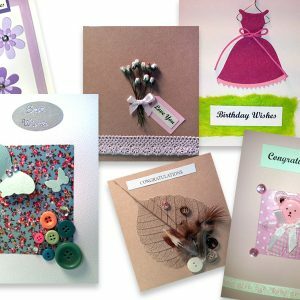 Unique and varied design handmade cards for any occasion.